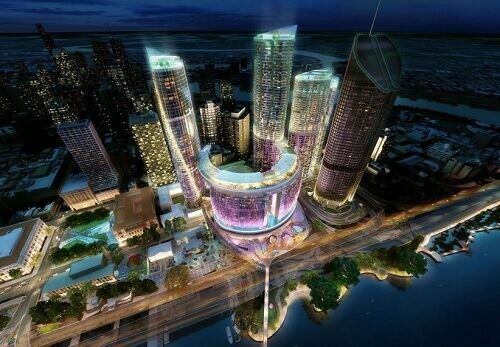 Australia – The government in Queensland, has approved the development of the Queen’s Wharf Brisbane precinct. The $3 billion project was proposed by the Destination Brisbane Consortium and is inclusive of a new casino, hotels and a residential complex. Read On. Not very long, the consortium, which is half-owned by one of Australia’s top casino operators, Star Entertainment Group, applied to construct a world-class precinct at the Brisbane CBD. Fortunate enough, the proposal was approved by the QLD government, announced Star Entertainment in a recent filing with the Australian Securities Exchange (ASX). “The Star, along with its consortium partners Chow Tai Fook Enterprises and Far East Consortium, will review the development approval terms and progress the next steps for the project in accordance with the development agreements with the State of Queensland” reads the filing. The application was assessed by several government organisations including; the Brisbane City Council, Queensland Heritage Council, the Department of Transport and Main Roads, the Department of Environment and Heritage protection, Queensland Government Architect, South Bank Corporation, and the Queensland Urban Design and Places Panel. The multibillion-dollar project will cover 27.3 hectares overall, occupying 12 hectares of the existing government-owned land and reclaiming 15.3 hectares of the Brisbane River. The resort promises to be splendid with a casino, five hotels, 50 restaurants and bars, 2000 apartments and retail spaces. More so, the precinct will also make use of existing heritage-listed buildings, making it pretty much integrated. The government also approved a pedestrian bridge which will connect the resort to the existing South Bank Parklands, right opposite the river. Furthermore, the resort will accommodate numerous new buildings including fancy towers up to 74 storeys. Star Entertainment promised to release an update on the construction of the project together with a report of their first-half financial results for 2018.